Fir needle essential oil is one of those essential oils you probably have not heard too much about but should have. This piney smelling oil boasts a wide range of uses and benefits from being an effective pain reliever to taking care of embarrassing body odor. This little vial of oil is known as the forest healer due to its far-reaching medicinal benefits. Extracted from the needles and leaves of the Silver Fir Tree (Abies balsamea), fir needle essential oil is produced via steam distillation. The spirited aroma of this essential oil is reminiscent of walking through a snowy forest and warm holiday memories. For this reason, fir needle essential oil has long been valued for its scent as a way to purify and disinfect the air. In fact, historically, fir needles used to be burned after childbirth, to grant good health the freshly born child and mother. Various parts of the fir tree were also used to treat irregular menstruation. Combined with other medicine, fir trees were believed to help treat rheumatism, tuberculosis, and cancer. The use of fir needles in medicine carried on into folklore medicine. It is used in western and Ayurvedic medicine. Needles of the fir tree were gathered to make a healing poultice for muscular pain, rheumatism, and arthritis. Meanwhile, the gum of the tree was often used to make ointments for wounds, boils, rashes, sores, and various other skin conditions. The bark of the fir tree was believed to relieve kidney problems while the roots addressed problems of the heart and joints. Native Americans also saw the medicinal value of fir trees. They believed that stuffing their pillows with fir needles encouraged tranquil, peaceful sleep. Ancient Egyptians saw the cosmetic value of the fir needle oil, massaging it into the scalp to promote scalp health and hair growth. 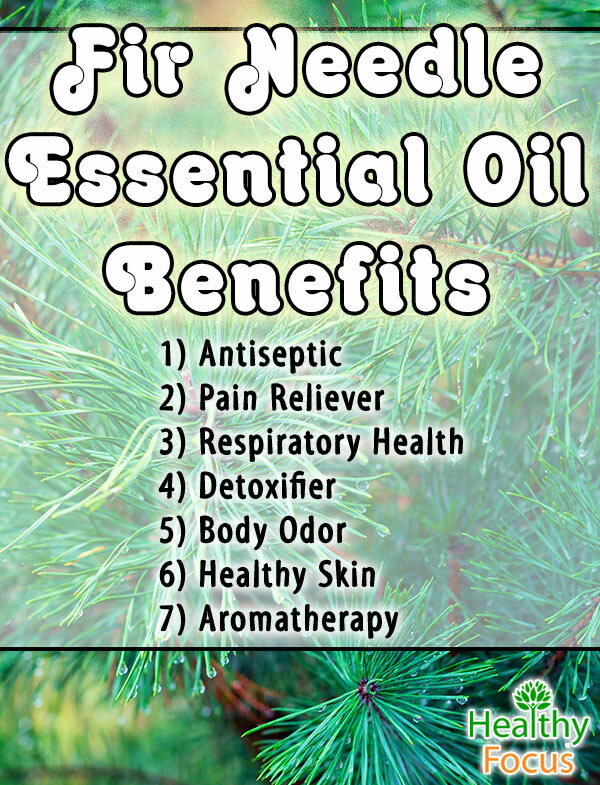 The uses and benefits of fir needle essential oil are as relevant as ever. Due to their large forested areas and health conscious lifestyle, today, fir needle essential oil is mostly produced in Germany, Bulgaria, and France. Frequently used in commercial cosmetics, bath products, incense, and air fresheners, fir needle essential oil is utilized in more products than you think. By keeping a vial of this essential oil around the house, you can experience the various wonderful benefits of this invigorating tonic. Long revered for its medicinal therapeutic properties, fir needle essential oil is loaded with antibacterial, antifungal, antiviral properties. By keeping a bottle of fir needle essential oil in your medicine cabinet, you are providing yourself with a powerful defense against infection. Studies have found that by applying this healing oil to cuts and wounds prevents them from turning septic and therefore reducing chances of infection. 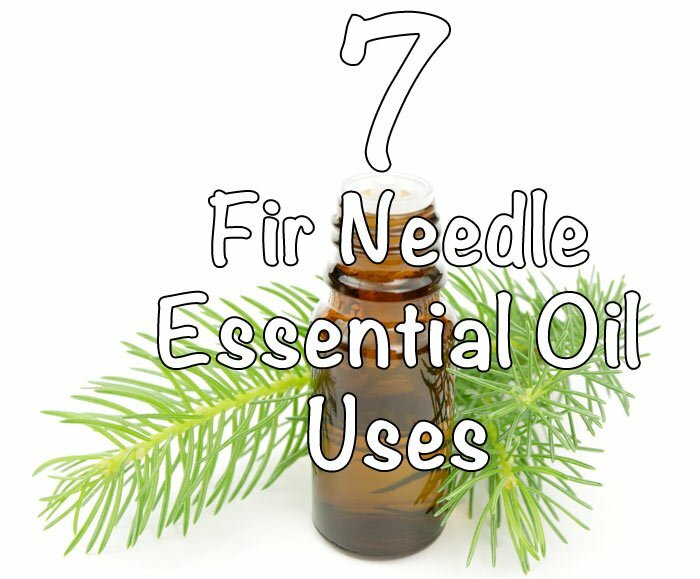 Those suffering from achy muscles, rheumatism, and arthritis have found an ally in fir needle essential oil. This soothing oil serves as a pain reliever, stimulating blood circulation, and flushing out harmful toxins. Not only does this essential oil make a powerful analgesic, it also speeds up the healing process as well. To experience the anti-inflammatory properties of this oil, mix a couple drops of fir needle essential oil with a carrier oil such as sesame oil and massage onto achy joints and muscles. Adding a couple drops of fir needle essential oil to a warm bath will also do a world of good for muscles in distress as well. It should be no surprise that this invigorating essential oil restores harmony and effective functioning to your respiratory system. For centuries, fir needle essential oil has been used to treat cough and problems associated with excess mucus production. The antiseptic properties of this essential oil helps nix the spread of infection while its antitussive properties serve as a powerful cough suppressant. Those who have a phlegmy cough will find relief as this essential oil clears clogged respiratory passages, clearing up your sinuses and easing breathing difficulties. If you’re suffering from bronchitis, you might want to add a couple drops in an air diffuser to create a soothing, purified, easy breathing environment. If you’re feeling bogged down by toxic elements in your environment and lifestyle or simply want a clean slate, fir needle essential oil makes a wonderful detoxifying agent. Stimulating your liver and encouraging your body to flush itself clean, this essential oil is perfect for people who are engaged in a cleanse or are just looking to cleanse their body of potentially harmful toxins. The scent of pine has long been associated with a clean and pure environment, its scent often characterizing commercial cleansing agents. People looking for a natural and organic way to address their body odor will find fir needle essential oil to be especially useful. The fresh scent of pine cuts down the odor while the antibacterial and antiseptic properties kill any bacteria or infection responsible for creating a less than pleasant scent. If you want a fresh radiant complexion with healthy skin tone, keep a bottle of fir needle essential oil in your vanity or medicine cabinet. This essential oil contains astringent properties, making it effective in treating such skin conditions as acne, wounds, cuts, insect bites, and various other infections. Meanwhile, the antioxidant properties of the essential oil tracks down and eliminates free radicals, counteracting premature aging. Regularly applying fir needle essential oil will keep it clean, fresh, youthful, and free of infection. Don’t discount fir needle essential oil as an oil to only diffuse around the holidays. When infused, this essential oil imparts a clean, gentle scent that purifies the air and cleanses your environment. Fir needle essential oil not only kills germs lingering in the air, but it also helps melt away tension and stress. Add a couple drops to your infuser when you are feeling particularly stressed and would like a couple minutes of feeling like you’re in a cozy cabin in the woods. To experience the aromatherapeutic and respiratory benefits of fir needle essential oil, add a couple drops to an infuser. Infusing this essential oil will also purify and deodorize your home. Add a couple drops of fir needle essential oil to your bath to cleanse your skin, cut out body odor, and treat achy, rheumatic muscles and joints. Combine a couple drops of fir needle essential oil with a carrier oil of your choice to make an antiseptic or a massage oil. 1/8th cup of white vinegar, and a gallon of warm water to make a natural powerful house-cleaning agent. Fir needle essential oil is not safe when ingested. Consult with a physician before using fir needle essential oil to ensure that the use of essential oils does not counteract with any medication or aggravate any pre-existing condition. Before using fir needle essential oil, be sure to do an allergy test. 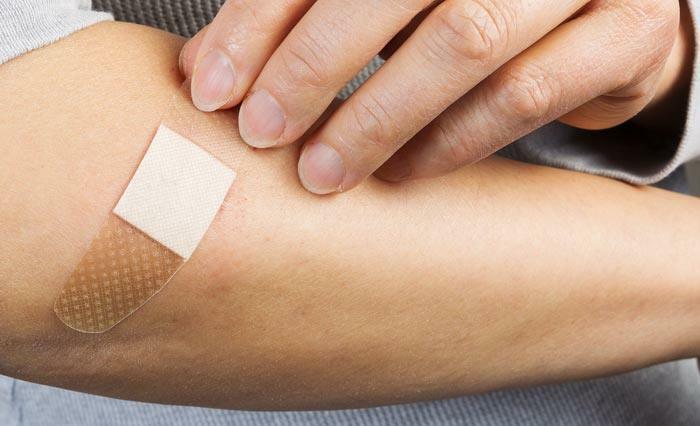 To perform an allergy test, add a drop or two of essential oil to the back of your hand and wait several hours to make sure an adverse reaction does not occur. When using this essential oil, avoid direct contact with your eyes and other mucus membranes. Fir needle essential oil is not recommended for the use of pregnant or breastfeeding women. Healthy Focus recommends Plant Therapy essential oils. They are “scent tested” by Robert Tisserand who has over 40 years of experience with essential oils and is the author of “Essential Oil Safety”. The oils are further lab tested with Gas Chromatography, Mass Spectrometry and in some cases chiral analysis. This ensures you are getting oils that have the key and active components and that they are real oils and not just nice smelling synthetics. Each bottle has a batch code and you can tie that code to the analysis on the plant therapy website. Plant Therapy has a range of oils with a large organic selection. They also have “Kid Safe” oils that are pre-diluted–as well as Kid safe non-diluted–with dilution instructions. Some oils are safe for kids and some are not–having the label just makes it easy to recognize. Lastly–they are very reasonably priced! You are not paying for a lot of middle-men as you would with a MLM oil. While we believe the MLM oils are very high quality–we also think they are overpriced because of the distribution method. High priced products can scare the beginner away from essential oils. Where we think a high quality and affordable oil lowers the barrier to entry. With the reasonable prices and quality that Plant Therapy provides we think essential oils can and should be a part of every medicine cabinet. Healthy focus is not affiliated in any way with Plant Therapy. We do get an Amazon commission when you buy from our link. But with Amazon we could recommend any product –even more expensive ones. We just really think Plant Therapy is your best value.